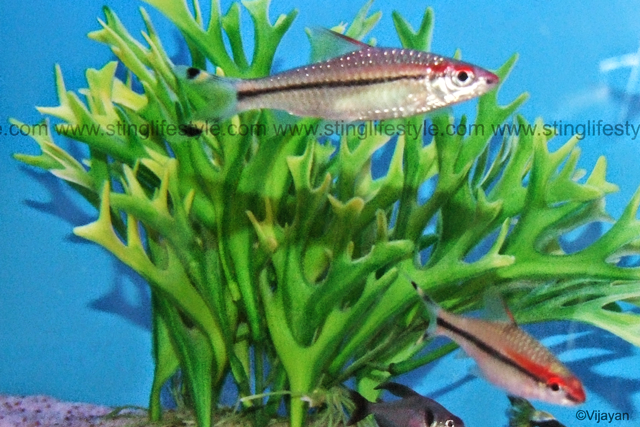 Red line torpedo barb fish is a large barb fish with red lining from the nose and in its dorsal fin And it is popularly called as Miss Kerala in India .Red line torpedo barb is normally foung in rivers and fast flowing streams. 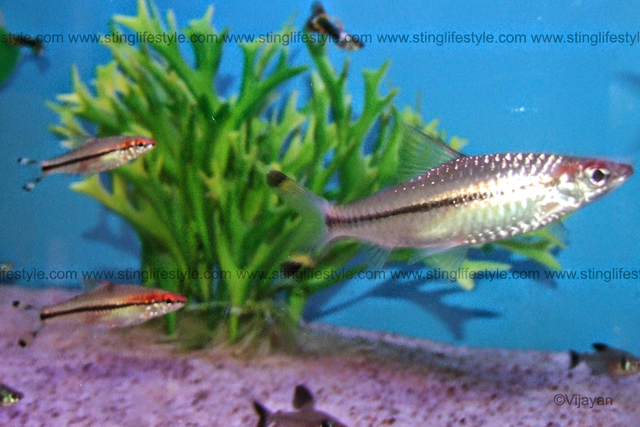 Red line torpedo barb is a peaceful schooling fish for planted and community aquariums but occasionally they tend to nip fins of the long finned fishes or little aggressive towards smaller fishes. They should be kept in groups of more than 4 per group. Red line torpedo barb fish prefer slightly colder water for optimum health conditions. 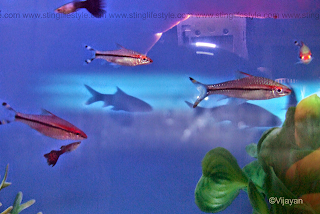 If the water quality is maintained and treated with live food, they will live up to 8 years approximately. quality flakes and frozen food. insect larvae and plant matter. occasionally aggressive towards other fish. in 3 – 10 in numbers. if not separated they will eat their own eggs.